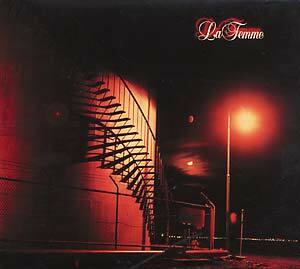 "Melbourne's La Femme were a fascinating meld of late '70s influences: punk, new wave, glam and hard rock. Their 1979 debut single, 'Chelsea Kids' is one of the all-time classic Australian singles and their only LP La Femme, is arguably one of the best to come out of Melbourne's late 1970s punk/new wave scene (which included Models and The Boys Next Door). It contains many fine example s of the band's confident, swaggering glam-infused punk-metal sound. Lead singer Chane Chane was a charismatic, hyperactive front man, a refreshing personality with a strong audience rapport. Guitarist Brett Walker was a real live flashy guitar hero for the times, coming on like a punk-metal Mick Ronson by pealing off large chunks of dense power riffing when other guitarists were still going plink-plonk. The thuggish rhythm section of Peter Kidd and Graham Schiavello played it mean and hard, providing the relentless, driving beat. La Femme could well have made it into the big league if they'd wanted, but swimming against the commercial tide seemed to be their raison d'être. In many ways, they were their own worst enemies. An unwillingness to play the pop star game and the serious drug addiction, among other things, perhaps ended up compromising the band's drive. For an inner-city band with so much potential, in the end they really did give it away. They toured constantly, built up a huge support base on the suburban pub circuit, scored several prestigious support gigs, made three appearances on Countdown (one of the first punk/new wave/alternative bands to do so), released one of the great Melbourne punk albums and yet they never rose above being a cult attraction. Aztec Music's deluxe reissue has been digitally remastered from the original tapes. It contains 8 bonus tracks."